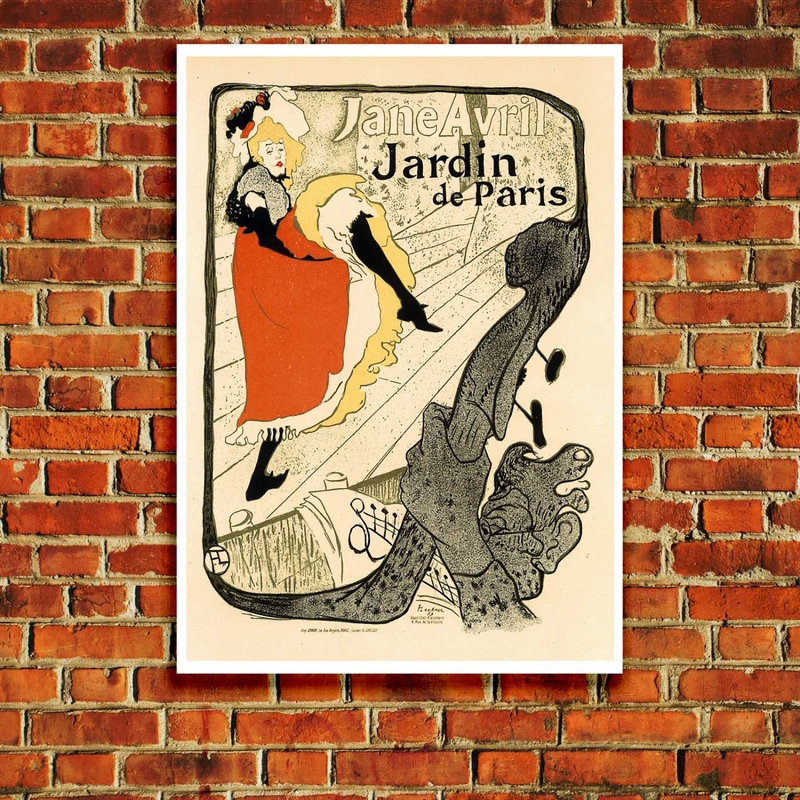 Jane Avril was a French "Can-Can Dancer" made famous by Henri de Toulouse-Lautrec. Jeanne Beaudon’s stage name was Jane Avriland it was given to her by her lover, the English poet and journalist Robert H. Sherard. Lautrec was infatuated by Avril, her jerky movements and eccentric routines distinguished her as a unique performer. 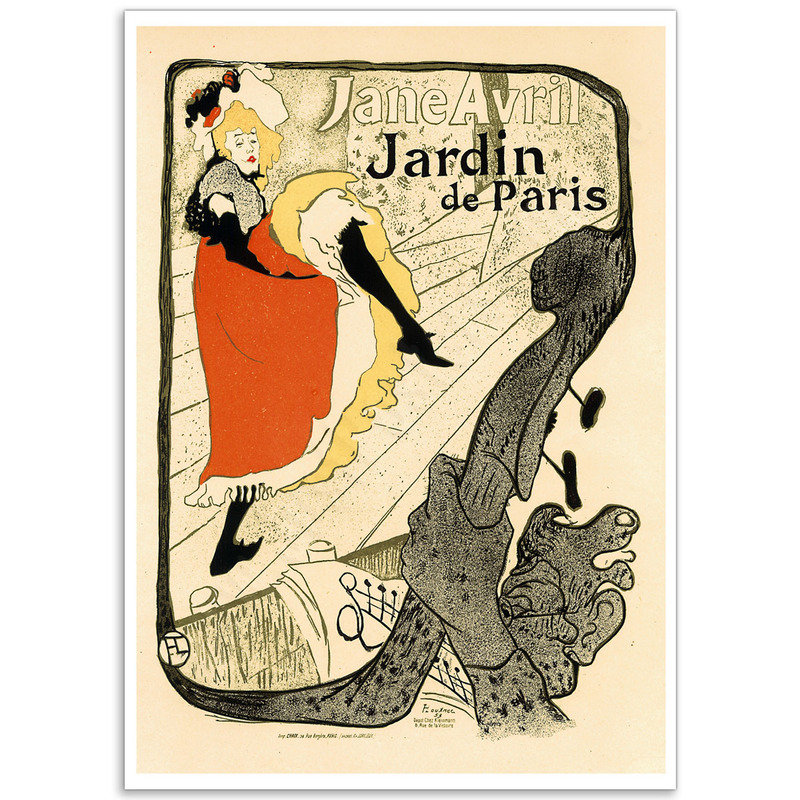 Here she is shown onstage at the Jardin de Paris, her legs in black-stockings raised high mid-kick. The extraordinary composition of this poster positions the viewer in the orchestra pit, looking past the neck and scroll of a double-bass to the bright skirts of Avril. 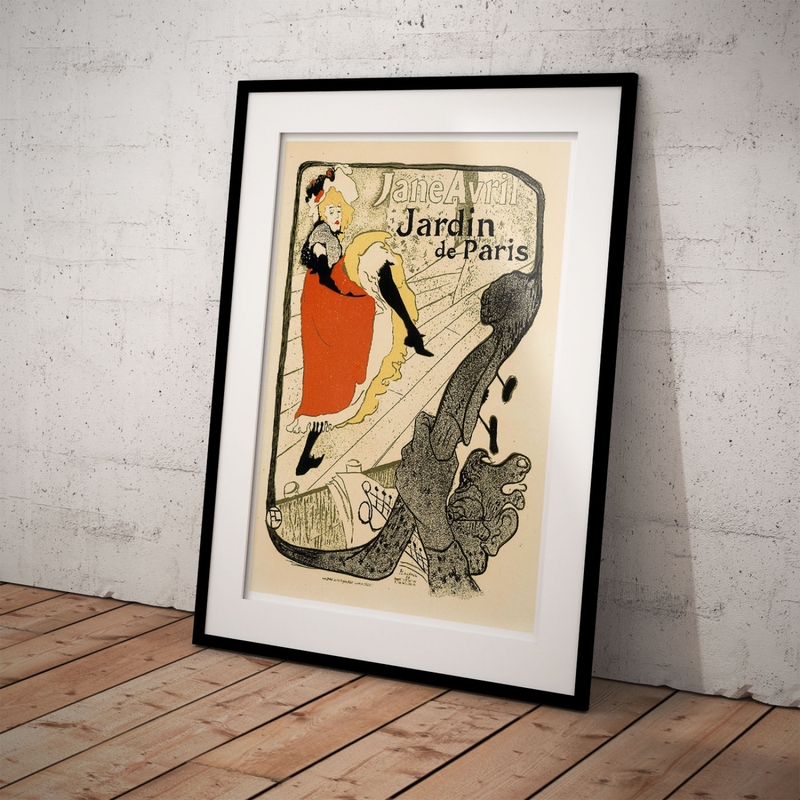 The ' Jane Avril, Jardin de Paris' Poster is a reproduction of a Toulouse-Lautrec Poster. 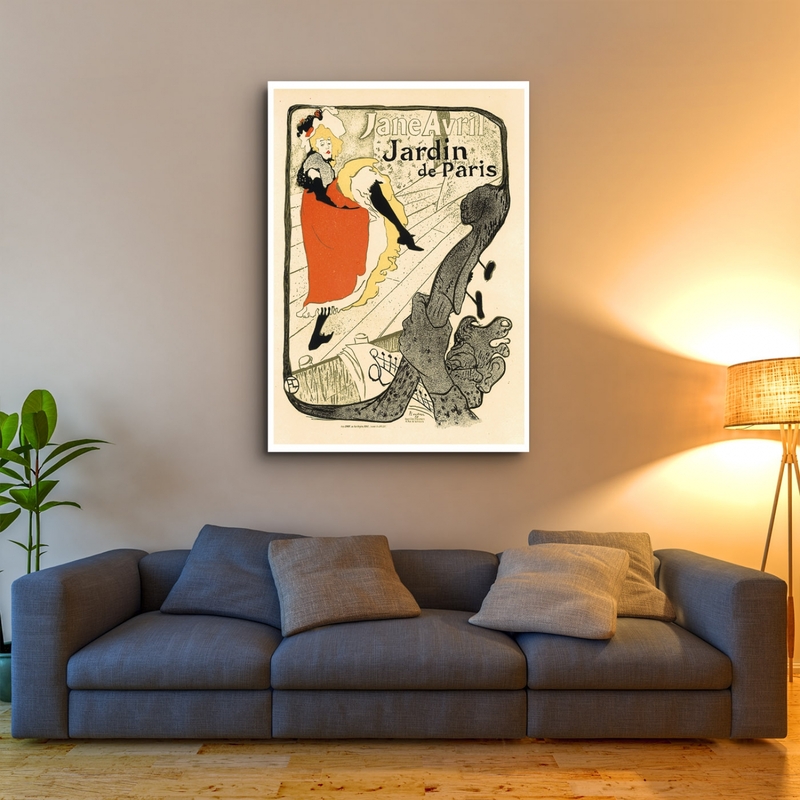 Jane Avril - Poster By Henri de Toulouse-Lautrec Jane Avril the 'Can-Can Dancer' made famous by Hen..
Moulin Rouge, La Goulue, Lautrec PosterA Fine Poster by the Famous French Artist Henri de Toulouse-L.. 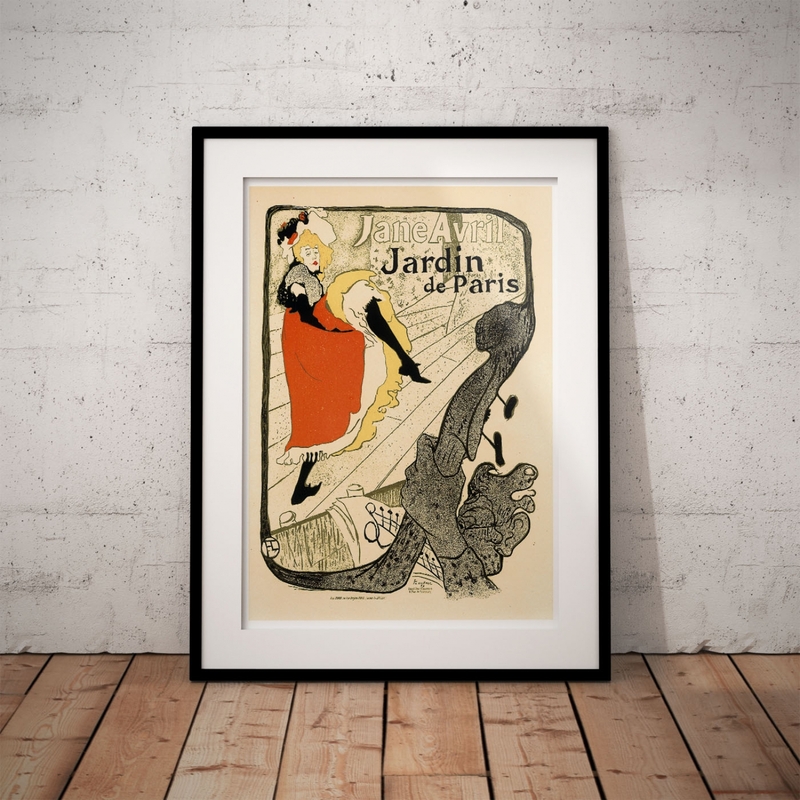 The Seated Clowness - Lautrec - Fine Art PosterThe Seated Clowness, 1896 (Mademoiselle Cha-u-kao) by..